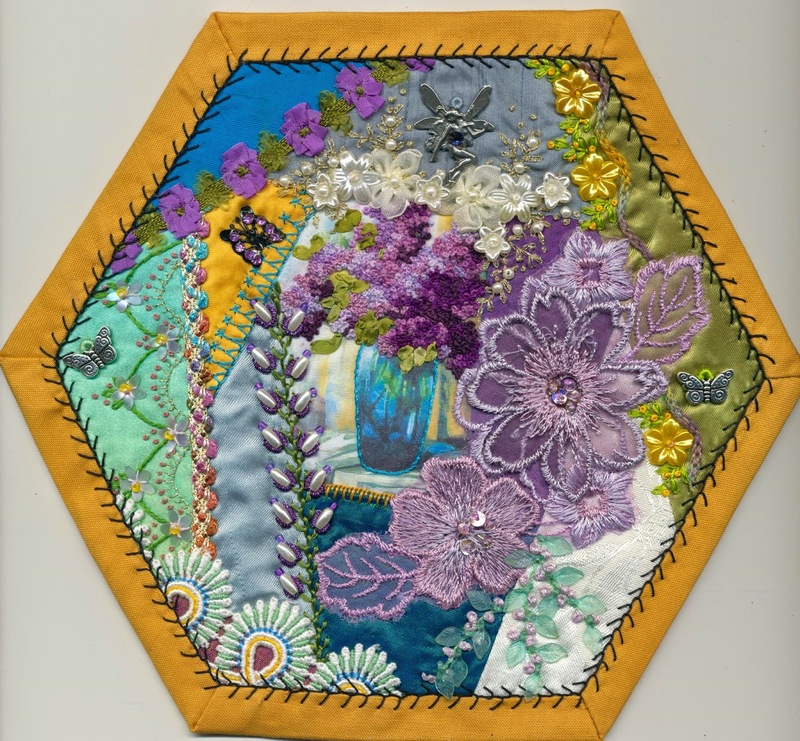 Here is hexie 23 which started off with the picture of the vase of Lilacs. I thought the Lilacs looked too flat so covered them in French knots using 3,2 and 1 twists but keeping the colours as close as possible to the original photo. At the moment I have a stiff neck and can't turn my head very far to the right as a legacy from keeping my head in one position while doing all the French knots.......duh!! I also thought it would be hard to find a suitable backing but this mustard yellow was perfect. It is not one of my favourites but I'm happy with it.